This Miami International Airport Hotel is located 5 minutes from the MIA main terminal. The hotel provides FREE 24 hour shuttle transport from and to the Miami International Airport. An on site Café with WIFI Hot Spot and the World Famous Miami Traveler's Lounge. FREE wireless internet property wide. If you want to grab a bite to eat after your flight into the Miami Airport our hotel features the new Express-O Café giving you quality and excellence in a dramatically comfortable setting. 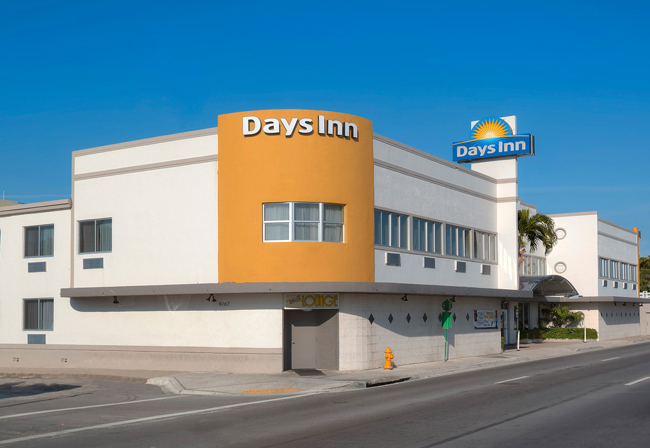 After that long flight you can be at the Days Inn Miami Airport North just minutes after you pick up your baggage enjoying your favorite refreshment in our full-service lounge and taking a refreshing swim in our olympic size pool. So, whether you are traveling to Miami for business or pleasure the Day's Inn Miami Airport North offers the best location and the best value. Experience the value of the ideal location near the Miami International Airport.